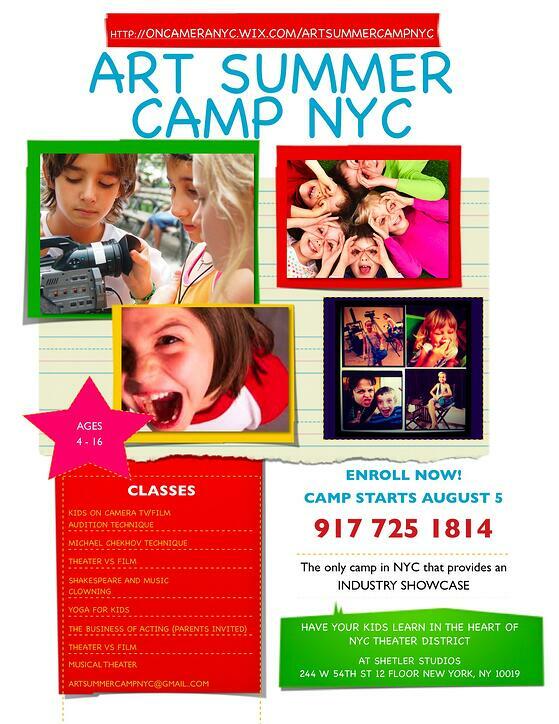 Among the many camps to choose from in NYC this summer, our colleagues over at Art Kids have put together a fantastic week-long program that exposes students aged 4-16 to the theatre world in NY and cultivates their acting and production skills. Every day, students dive into and explore the world of theatre in NYC at a professional actor's studio. Experts are on hand to help draw out the young Shakespearean or budding hollywood star. At the end of the program, students perform in a showcase that offers a chance to be spotted by producers, actors, casting agents and other industry professionals. We'd be there if we could be. Sadly for us, this ones reserved for kids!